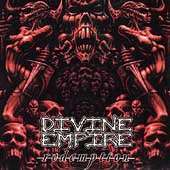 Divine Empire is a Death Metal band from USA forming in late 1997; by a trio of guys all with ties to Malevolent Creation, briefly all at the same time (they appeared together on that band's In Cold Blood). 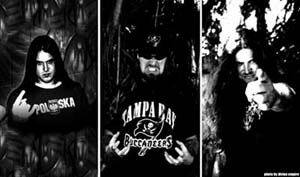 The band are often referred in the "esteemed Floridian death metal scene" and have come quiet a force with ties to the same band before and playing together on that, they have already jelled together to make this happen. 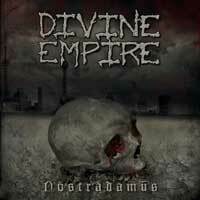 Divine Empire isn't radically different from other bands on the scene, but they execute quite well, with now-new drummer Duane Timlin excelling on their 2004 album "Nostradamus". A extremely good piece from these guys and excelling well into the field. 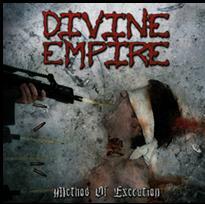 Althought now, after the release of their fourth album, "Method Of Execution", a split occurred within the Divine Empire camp, with Jason Blachowicz going one way and J.P. Soars and Duane Timlin the other. 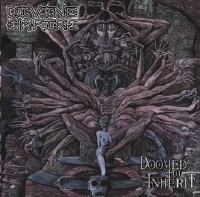 Both claim to have recruited appropriate replacement members, and in fact both have claimed to be the real Divine Empire.